It includes a 32-bit RISC processor for faster formatting and first-label-out, an auto-sensing serial port, and co-existent EPLTM and ZPL programming languages. The LP 2824 Plus is simple to set up with the intuitive Zebra Setup Utilities software. Zebra’s GX™ Series and ZD500™ printers pair the fastest print speeds with the most complete feature set of our desktop printer lineup. This unit has the optional Datamax Ethernet module installed. This is what Datamax has to say: -. This unit can be operated in direct thermal or thermal transfer mode. Superior price and value make the I-4208 the premier 4" printer in the world. Part Number : 20G0251. The Printer Broker Ltd is a supplier of printers, fusers and printer parts based in Bolton, Greater Manchester, UK. 203dpi Print Head. We will always go out of our way to source the product you are looking for. Add to Favourites. 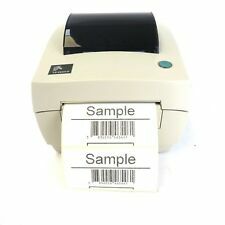 IBM 6400-010 Interface LPT Twinax refurbished printer. Stoney Battery Rd. EXCEL SELF STORAGE, UNIT 51. Sat 9am - 2pm. Mon - Fri: 9am - 6pm. USB, Serial DB9 & Parallel Connections. Print up to 4" Per Second. We will always go out of our way to source the product you are looking for. Add to Favourites. 4MB Flash RAM and 8MB SDRAM. This product has been tested and is fully functional Please note: No power supply included. Condition is New but not in BOX. 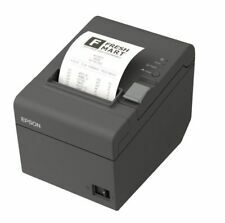 The Zebra ZP505 printers are ideal for applications such as Zebra ZP505 ZP505-0515-0110. This unit prints thermal direct with fast speed and great print quality. This unit has USB (Not Ethernet) port on the back!